Martin Švajda had his first musical experience during the seven years he studied piano under Marie Šubová at the ZUŠ Žerotín in Olomouc. From 1979 to 1985, he attended the P. J. Vejvanovsky Conservatory in Kroměříž. 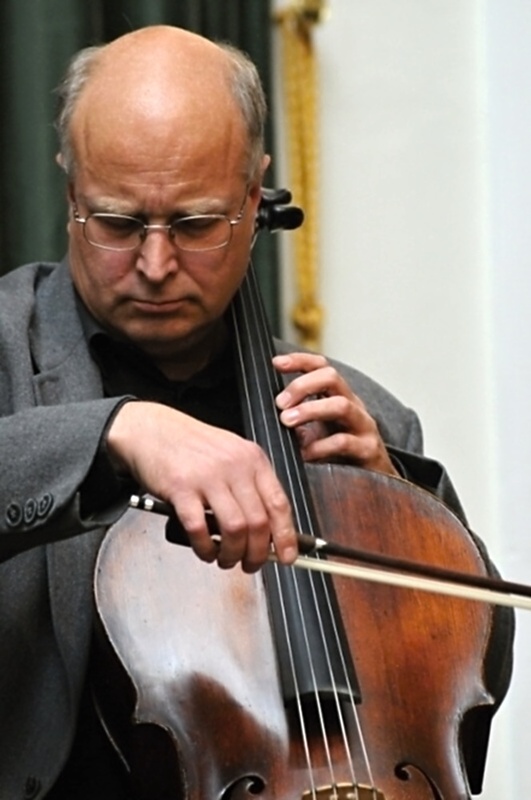 He started playing the cello when he was 15 under the guidance of František Rybář. At his graduation concert, he played Suite no. 3 in C major BWV1009 for solo cello by J. S. Bach and Concerto C major Hob. VIIb by J. Haydn. During 1986 to 1991, he studied cello in the class of Professor Jan Hališka at the Janáček Academy of Music and Performing Arts in Brno. In 1987 he was awarded a prize from the Czech Musical Fund. He made his first radio recordings in 1988 then Martin made his debut as a soloist in Spain, France and Germany during 1989 and 1990. He also played in the State Philharmonic Brno from 1989 to 1991. He graduated with a recital from works by G. Frescobaldi, J. Brahms, P. I. Tchaikovsky and I. Stravinsky and with Concerto in H minor op. 104 by A. Dvořák with Bohuslav Martinů Philharmonic Orchestra Zlín at the festival “Zlín Music Spring 1991”. He accepted a position as cellist in the renowned Brno Quartet and it was a turning point in his career; he made his début with them during their tour of Sweden in September 1990. Martin has spent more than 20 years with the Brno Quartet and he has performed hundreds of concerts and played at music festivals in Austria, France, Spain, Sweden, Italy, Switzerland, Germany, USA, Slovakia and Great Britain. He has made recordings for Czech Radio, ORF, company EDIT and Austrian ARICORD. Since 1993 he has been working with pianist Pavel Kratochvíl, a graduate from Conservatory in Teplice (1988 Věra Vlková) and The Academy of Performing Arts in Brno (1993 Professor Jiří Doležel). Their joint performance has been highly received by audiences not only in the Czech Republic, but in Holland, Spain, Slovakia and other European countries. Their excellent coordination, cleanliness of style and musical thinking brought its fruits in the form of a CD with music by R. Schumann, C. Debussy and I. Stravinsky in 1998 which was directed by Petr Řezníček. In 2002 they jointly founded and established the Krommer Trio. He has been a solo cellist of the Martinů Chamber Orchestra for 19 concert seasons and has performed with them regularly in Europe as well as in the USA. As a member of the orchestra, he released recordings and live broadcasts of concerts predominantly for Czech Broadcast Brno and ORF. On the concert stage he has performed with pianists – prof. Zdeněk Hnát, Francoise Killian (France), prof. Franz-Friedrich Eichberger (Germany), prof. Erika Frieser (Austria); flautists – Vítězslav Drápal, Wolfgang Schultz (Austria), Clara Novak (France); cellist – Alexander Hülshoff (Germany); clarinettists – Jiří Hlaváč and Vlastimil Mareš (Czech); guitarists – prof. Leo Witoszinsky (Austria), Alvaro Pierri (Uruguay), Maria Escarpa (Spain); conductors – Miloš Alexandr Machek, Jan Štych, Stanislav Macura, František Vajnar, Debashish Chaudhuri (India) and many others. During recent years, he has performed at a number of recitals in the Czech Republic, at international summer music festivals in Germany and Austria, at chamber music festivals in Slovakia, concerts at the Czech Republic Embassy in Bratislava and Budapest and a repeated performance of Concerto in H minor by A. Dvořák with Bohuslav Martinů Philharmonic Orchestra Zlín at the opening concert of the “Janáček and Luhačovice 2009” in the presence of Mrs Lívie Klausová, the first lady of the Czech Republic. For 2011 Mr. Švajda is involved with new concert projects and has a new CD “French Sonatas” with music by César Franck and Francis Poulenc in development.